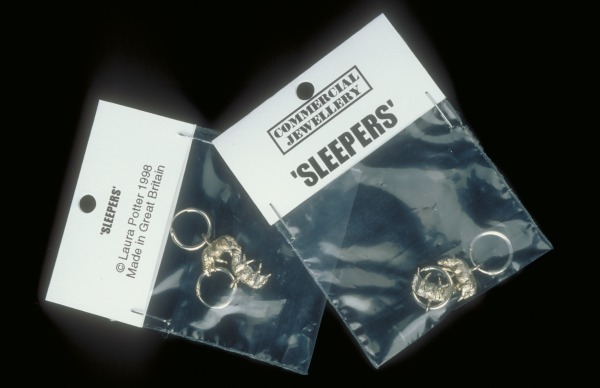 How To Make A Commercial, Part 3: "Sleepers" - Sheep Earrings. Silver (cast), manufactured findings, self-seal plastic bag and paper (label). Casting, soldering and computer graphic work.